The Indonesian Chinese minority has long been marginalised. Accounting for about three percent of the population, the Chinese migrated to Indonesia during the nineteenth century bringing their traditions and customs with them. Perceived as a Chinese cultural symbol, Confucianism was denied recognition by the government for several decades. During Suharto’s rule, all signs of Chinese culture including language and religion were prohibited. Confucians usually registered as Buddhists or Catholics to marry and overcome the bureaucratic limitations. Soon after the fall of Suharto in 1998, a series of changes started taking place. Thereby, in 2002 the proclamation of IMLEK, Chinese New Year, as a national holiday; followed in 2006 by the recognition of Confucianism as one of six official religions in Indonesia. These changes are meaningful for the Chinese minority. 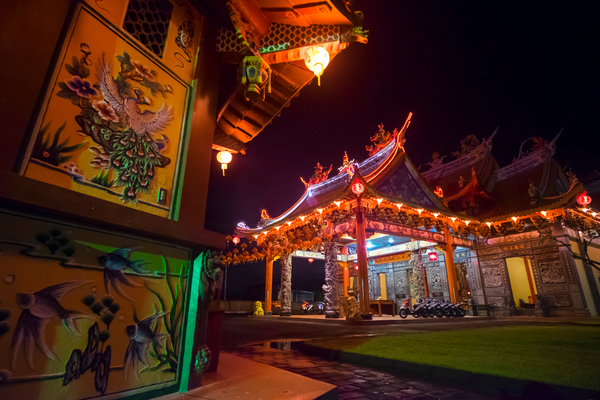 A few Confucian temples can be found in several parts of Indonesia, including Benoa and Semarang.